Dr. Omprakash Kaiwartya is a Program Leader/ Course Leader for MSc Engineering (Cybernetics & Communication), and MSc Engineering (Electronics). He is teaching Embedded Systems (MSc), Internet Technology (BSc), Group Design Projects (MSc) modules in this academic year 2018-19. More details are available on Dr. Omprakash's personal website. Prior to joining NTU, Dr. Omprakash was a Research Associated at the Northumbria University, Newcastle, UK, a Postdoctoral Research Fellow at the Universiti Teknologi Malaysia, Malaysia, and a PhD Research Scholar at the Jawaharlal Nehru University, New Delhi, India. Department of Computer and Information Sciences, Northumbria University, UK since August 2017-March 2018. School of Computer and Systems Sciences, Jawaharlal Nehru University, New Delhi, India, July 2012 to June 2015. 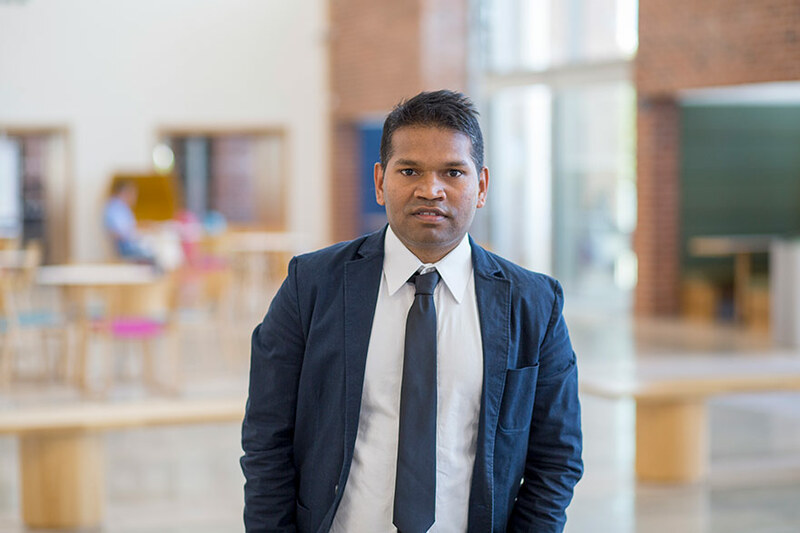 Dr. Omprakash Kaiwartya's current research interest focuses on the following three areas in Security in Cyber-Physical Systems for Smart Cities. In future, Dr. Omprakash's aim is to establish a research centre for “Security in Cyber-Physical Systems for Smart Cities”. The research centre will host hardware testbed facilities for enabling security in intelligent and sustainable transport systems developments, EV charging infrastructure planning and management and IoT centric use case developments of sensor networks for smart cities. The centre will provide training and research infrastructure for master, and PhD students as well as short term internships to final year undergraduate students. The research centre will build strong links with industries to bid for national and international innovation funding. More details about his current research and future plans are available on his personal website. He is serving as Associate Editor of many reputable journals including IEEE IoT, IEEE Acess, IET-ITS, EURASIP JWCN, Adhoc and Sensor Wireless Networks. (3.05M EUR) EU Erasmus Mundus Sustainable Green Economies through Learning, Innovation, Networking and Knowledge Exchange (gLINK), Northumbria University, August 2017 – December 2018, Key Researcher. (75k GBP [300k RM]) Fundamental Research Grant Scheme (FRGS), Universiti Teknologi Malaysia, Enhancing Information Dissemination using Geometry-based Approach in VANETs for Mobility as a Service (MaaS), July 2015-July 2017, Key Researcher. (50k GBP [200k RM]) Ministry of Higher Education Malaysia Research Grant Scheme, Universiti Teknologi Malaysia “IoT-Based Scalable Intelligent Central Control System for Nutrient Management in Recirculating Hydroponic Culture”, July 2017-July 2018, Key Researcher. (25k GBP [2.5M Rs]) Innovation Grant University Project (GUP-II), Jawaharlal Nehru University, New Delhi, India “Towards Green Wireless Communication focusing on IoT use case Implementations”, July 2015-July 2018, Key Researcher. Omprakash Kaiwartya, Abdul Hanan Abdullah, Yue Cao, Jaime Lloret, et. Al “Geometry-based Localization for GPS Outage in Vehicular Cyber Physical System”, IEEE Transactions on Vehicular Technology, 67(5), 3800-3812, 2018. Omprakash Kaiwartya, Abdul Hanan Abdullah, Yue Cao, Jaime Lloret, et. al ”Virtualization in Wireless Sensor Networks: Fault Tolerant Embedding for Internet of Things”, IEEE Internet of Things Journal, 5(2), 571-580, 2017. Omprakash Kaiwartya, Abdul Hanan Abdullah, Yue Cao, Ayman Altameem, et. al ”Internet of Vehicles: Motivation, Layered Architecture, Network Model, Challenges and Future Aspects”, IEEE Access, 4(1), 5356-5373, 2016. Omprakash Kaiwartya, Abdul Hanan Abdullah, Yue Cao, Ram Shringar Raw, et. al ”T-MQM: Testbed based Multi-metric Quality Measurement of Sensor Deployment for Precision Agriculture - A Case Study”, IEEE Sensors Journal, 26(23), 8649-8664, 2016. Y. Cao, Omprakash Kaiwartya, R. Wang, et al. "Towards Efficient, Scalable and Coordinated EV Charging Management”, IEEE Wireless Communication Magazine, 24(2), 66-73, 2017. Y. Cao, Houbing Song, Omprakash Kaiwartya, “Mobile Edge Computing for Big Data-Enabled Electric Vehicle Charging”, IEEE Communication Magazine, 56(3), 150-156, 2018. Y. Cao, W. Tong, Omprakash Kaiwartya, et al. “An EV Charging Management System Concerning Drivers' Trip Duration And Mobility Uncertainty”, IEEE Transactions on Systems, Man and Cybernetics, 48(4), 596-607, 2016.